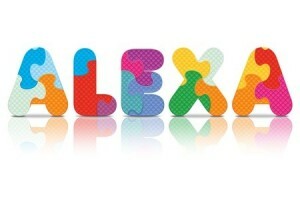 Alexa is one of the web’s oldest stat monitoring services and has a storied reputation of being important to webmasters and developers alike. As time has progressed, however, Alexa has become increasingly ineffective at measuring the true extent of how websites rank among one another. With services such as Google Analytics, Compete and others, Alexa has suffered in credibility as its measurement variables are very similar to what they were ten years ago. We will explain to you why an Alexa rating is not too terribly important and why you should focus your efforts elsewhere in regards to rank building. Using technology that was developed during the late 20th century does not lead credulity to the performance of Alexa and how it measures traffic. For starters, the rankings provided by Alexa are completely reliant on a little gadget known as the Alexa Toolbar. Have you ever heard of it? Probably, if you are a detail-oriented webmaster or developer. Probably not if you are anybody else. The only way Alexa can rank websites is if individuals download the toolbar and use it to monitor their site’s traffic. Most webmasters do not do this, and it is completely possible for a well-ranked site to not even appear in Alexa’s ranking algorithms. Examining on the toolbar in greater detail, we learn that you not only have to install the toolbar, but use it as well. It does not come installed on any major internet browsing system, meaning that the vast majority of visitors are not going to have it. On top of that, nobody wants to download a toolbar that they seemingly have no use for and doesn’t do anything in terms of improving the user’s browsing experience. This means that anyone who uses Alexa for their website automatically has a very biased advantage; sites that are only a few months old can outrank established, trafficked sites that have been around for years. As we dig into the dynamic of Alexa’s constituency even further, we discover that the majority of its users are not English-speaking users. While in theory this does not affect the quality of service, the result is that the majority of people using the tool are very likely to never see your website and therefore never send back any data regarding it. Unless your site has been built to cater to a Chinese audience – which from reports consist of approximately two-thirds of Alexa’s current user base – you will most likely not benefit from installing the Alexa toolbar or from traffic of users that have it installed. Some people still want to maintain a good Alexa rating and there is nothing wrong with that. Many people compare various ranks and having a strong Alexa score can complement a strong Google PageRank or PageHeat ranking. If you want to quickly determine what your Alexa rating might be, then check out Pingler’s Alexa Rank Checker for a very simple and straightforward diagnostic. It is quick to load and even quicker at fetching your result. 1. Alexa is Amazon as such they are peering with the major back bone switches/routers. 2. Amazon host large amount of web site and apps (virtual machine instances). 3. Amazon partners with many CDN provider in addition to its own. Therefore, Alexa have access to vast amount of traffic. They can use statistical analysis to figure out the bigger picture. It is misleading to conclude that the Alexa tool bar is the main tool responsible to collect data. To my opinion this tool is given so Alexa will increase its own ranking; any site you visit it will credit Alexa with a visit as well (the tool bar is calling Alexa’s API).